The R&J Raven Company designs and builds truly custom wood doors, entry systems, windows, and architectural elements for the residential and commercial communities. We invite you to browse our portfolio of exquisitely hand-crafted designs made locally in the furniture city of Grand Rapids, Michigan. Call or write us with your own ideas and we’ll help you turn your thoughts into real plans that fit your style and budget. If you can imagine it, we can make it! 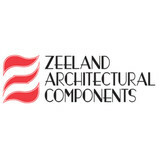 Through the use of innovative concepts and technologies Zeeland Architectural Components provides you with standard and custom wood-crafted products to assist you in achieving an originality of style. Our blending of the finest materials with exquisite craftsmanship consistently yields extraordinary results. We are a company built on the traditional values of integrity and workmanship, offering architectural and design solutions enveloped by a craftsmanship of exacting achievement. 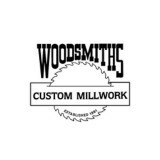 *Authorized Yorktowne Cabinetry Dealer* *Loba-Wakol Distributor* Established in 1981, Woodsmiths Custom Millwork has been producing custom commercial and residential products for customers for more than three decades. Whether our woodworking specialists are creating a new floor for a homeowner or adding new wood trim and moulding to a commercial business, our clients know they can come to us for high-quality craftsmanship as well as top-of-the-line products. Do you have your ideas on a piece of paper? Maybe you just have some loose design concepts in your head? It doesn’t matter. Just come and talk to our CAD experts and custom contractors and we will get to work creating your masterpiece. There is nothing like watching a property owner see his or her new, custom floor, countertop, door, or trim for the first time. It is something our commercial and residential contractor lives for. That is why we always work hard to not only meet your expectations, but to blow them out of the water. Your dream property is just a phone call away when you decide to work with our CAD experts. We have more than 32 years of experience in the industry, which means we know how to perfectly execute even the most exotic ideas you may have for your flooring, counter, home, or business. Contact our contractor when you are looking to create a brand-new look for your home or business. Our flooring, countertop, and woodwork services are available to customers located throughout the Kalamazoo, Michigan, area. 24/7 emergency repairs. Expert repairs & installation. American-made parts & products. Guarantee, we offer the industry's leading warranty on all garage door repair work and installations. Precision Done Right! Since BW Manufacturing, Inc. was founded in 1996. Our goal has been to build high-quality, easily serviceable, long-lasting surface preparation equipment. Our products are made for contractors in the building, restoration and maintenance industries, as well as utility plants, manufacturing plants and the Armed forces. To achieve this goal, which is to offer the best and most efficient blasting systems available for surface preparation, we manufacture all of our equipment in one location, at our facility in Grand Rapids, Michigan. We assure quality control during every step. Contractors continue to face growing concerns regarding a shrinking workforce, tighter production schedules and increasing environmental regulations. Paints, coatings, mortars and floor coverings are becoming more difficult to remove or repair. But BW Manufacturing, along with the cooperation of our worldwide network of dealers and users, will continue to improve our products and introduce new and innovative tools. We are always redesigning new accessories for existing concrete grinding equipment to increase utilization for use on the next generation of flooring materials. Our dedicated team strives to be, not only knowledgeable about the shot blasting equipment that we sell, but also understand our customer's needs and requirements. Here at BW Manufacturing, we are willing to prove the value of our equipment through demonstrations - before the sale and unprecedented follow up after the sale. With our continued commitment to customer service, and the development of new dependable concrete grinding products, BW Manufacturing, Inc. is positioned to forge ahead, impacting this growing industry. If you are an existing customer, we thank you for your business and look forward to continuing to earn your ongoing business. If you are not a current customer, we welcome the opportunity to demonstrate to you why BW Manufacturing, Inc. is the leader in concrete floor prep equipment. We offer a complete line of concrete diamond grinding tools and replacement parts to meet your needs. Looking for a home improvement contractor that does it all? Thomas & Maxson, Inc. is your one call, local contractor in the Battle Creek, MI area. From all types and styles of doors to windows and railings – we can do it all. Our team only offers home improvement products that meet the industry’s highest standards of performance and quality. Just give our locally owned and operated company a call today to see what we can do for you! What kind of services do Allendale door dealers provide? Door dealers are responsible for a variety of services, including door installation, replacement, door repair and custom door design. If you need a new door, Allendale, MI door dealers will help you determine what kind you need, as well as shape, color, size and more. From barn doors to French doors to front doors, these professionals can help you choose, install and maintain your door investments. Wood doors are beautiful, versatile and tend to be the most popular choice for both interior and exterior doors; they are easy to custom build, and include oak, cherry, walnut, mahogany, maple, fir and pine. Some standard wood doors have MDF cores wrapped in wood veneers, which minimizes the chances of warping as real wood expands when wet and contracts when dry. If your heart is set on a wood door but you think the Allendale, MI climate might cause it to warp, talk to your door professional about a furniture-grade veneered door. Aluminum doors have an insulated core and come in a variety of colors and finishes. With a baked-on enamel finish, they won’t rust or need repainting, and many come with a 20-year warranty. Next to wood they are the most expensive and have to be custom-made. A Allendale, MI door dealer can help you find a reputable aluminum door manufacturer. Find door dealers and installers in Allendale, MI on Houzz. 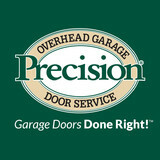 Look in the Professionals section of our website and search for Allendale, MI door dealers and installers. Read reviews, look at project photos and see how a pro can help with your home improvement project.